Most of you reading this are probably used to being asked to find potential major donors for your organization. Not every major donor starts by writing a big check, though; many of our best donors become engaged in the mission of our organization through an event or volunteer opportunity. At the University of Central Missouri (UCM) Alumni Foundation, we developed a holistic approach to prospecting that considers all avenues of engagement and allows us to create the best strategy to connect our alumni to the university. Founded in 1979, the UCM Alumni Foundation’s mission is to cultivate, manage and distribute resources in support of the University of Central Missouri. The staff includes alumni relations, events, development and communications professionals. Prospect Management and Research is currently a one-person operation, but plans to add staff in the coming years. The UCM Alumni Foundation launched a new strategic plan in July 2016 focused on invigorating engagement, inspiring service and elevating performance. We believe all our alumni should have the opportunity to transform our university. Expanding our alumni engagement options allows more of our alumni to help our students, faculty and staff succeed. By utilizing prospect research to target specific segments of our alumni for particular engagement opportunities, we hope to plug people into activities that are mutually beneficial and result in increased engagement, and eventually financial support. There are several engagement channels we are utilizing or planning to utilize at UCM. These include advisory boards, alumni awards, the Alumni Foundation Board, events, regional club leadership, speakers, admissions, advocacy, annual fund, campaign planning and leadership, career services partnership, and student clubs and organizations. Each channel has a strategy for identifying and recruiting alumni, and this article will share case studies from a few that have been implemented already. Although the case studies showcase specific examples of proactive prospecting for engagement purposes, prospect research actually considers all potential avenues of engagement when doing proactive donor prospecting. In addition to looking at wealth indicators of potential prospects, prospect research also looks at a prospect’s event attendance, geography, employment history and anything else that may indicate they would be a good candidate for an engagement channel. These ratings are entered into the system just like wealth capacity ratings. For example, an alumnus who majored in Criminal Justice and has worked in several settings in the justice system might be flagged for the Criminal Justice Advisory Board. When the need arises to do a push for recruitment, prospect research can produce a list of potential alumni without having to prospect from scratch. The channel prospect research has had the biggest impact on to date is the Alumni Foundation Board. Every two years, the Alumni Foundation sends out a prospectus to potential board members detailing the requirements of board service. The prospectus includes an application that can be returned to indicate interest, and the executive director (ED) of the Alumni Foundation, in conjunction with the governance committee of the Board, visit with those interested candidates to vet new members. In early 2016, prospect research was asked to help identify potential new members for specific committees: Governance, Finance, Investment and Development. We decided to focus on people who worked in specific industries or careers. For example, we looked for people who had been COOs or CEOs for Governance, CFOs for Finance, non-profit or fundraising professionals for Development, etc. We utilized LinkedIn and Zoom Info to search for our alumni who met our criteria. In addition to looking for specific employment history, we also looked at their potential giving capacity, since part of board service is philanthropic support of the Alumni Foundation. More than 50 new potential candidates were identified and included in the spring 2016 mailing. Several candidates returned applications, and the ED spent much of fall 2016 traveling to meet the potential candidates. Four new board members were brought on in early 2017, one of whom had been identified by prospect research. That individual had been a CFO for many years. He had not donated to UCM in several years, but appeared to have major gift potential. After his first visit with the ED, he made a commitment of $25,000, cementing his commitment to serve the Alumni Foundation with time, talent and treasure. Many departments at UCM have advisory boards that meet periodically. These boards support the departments in various ways, from working to ensure curriculum is current for today’s careers and fundraising for the department. Over the last year, several departments approached the Alumni Foundation for help recruiting new membership. Prospect research entered the conversation and met with each department to find out what kind of people they wanted for their boards. Some departments wanted only alumni of the degree program, regardless of what field they worked in now. Others wanted people who were middle-management or higher in their career, even if they were not alumni of that discipline. Prospect research worked with each department to identify the appropriate prospects based on their needs. So far, four departments have used prospect research to recruit new board members: Communication, Criminal Justice, Construction Management and Business. In the case of Communication, the department was looking for mid-to-senior level professionals working in media, regardless of degree. This search was driven primarily by industry codes and employment titles in the database. Construction Management took a different tack and wanted to focus on recruiting more women and minorities who had graduated from the program and held at least mid-level roles in the field. Prospect research used LinkedIn to supplement information from the database to ensure we were reaching the target audience. In all cases, prior donation history and capacity and modeling information were taken into account to suggest the best potential future donors who fit the criteria the department wanted. The Alumni Foundation plans to continue working with academic departments on revamping board membership as their recruitment cycles warrant. Many higher education institutions have regional alumni clubs or chapters. UCM is no different but really wanted to change how we were utilizing these organizations to engage our alumni. In spring of 2016, the Alumni Foundation set out to revitalize these important alumni engagement channels. Similar to the Alumni Foundation Board, a prospectus was developed to send to potential alumni leaders, detailing the work of the alumni clubs and expectations of club leaders. While this was being developed, prospect research set out to identify potential leaders in the four communities we had standing Mule Nation Clubs: Kansas City, St. Louis, Houston and Dallas. Prospect research pulled all alumni living in the geographic territories and looked at event attendance, giving history, predictive modeling scores and several other indicators. In addition to this information, prospect research utilized a new tool that overlayed social media information with UCM’s alumni database to show how socially influential alumni were with each other. Since alumni clubs are more of a grassroots engagement channel, dependent in part on the alumni leaders to recruit and attract others to participate in events, prospect research placed a lot of emphasis on the social connectedness of alumni when prospecting. Approximately 100 alumni in each area were flagged for the prospectus, and recruitment will begin in the coming months. Career services are vital to student success, helping students with everything from resume writing to mock interviews to internships. The opportunities for alumni to engage in this channel are vast. Alumni hire students for internships, participate in mock interviews and provide mentorship to students interested in their career path. The Alumni Foundation saw a real opportunity to partner with Career Services to scale up these opportunities and bring in new alumni who were not already engaged in some way. Several events this fall allowed prospect research to dig in and find these new alumni. Career Services hosted an etiquette dinner in late September. Prospect research identified roughly 30 alumni from specific fields who were invited to be part of the dinner so students had the opportunity to interact with alumni working in their future field. That same week, a majors fair was held on campus for those students who were new or undecided. The Alumni Foundation offered to recruit alumni to help staff the majors tables so students would be able to talk to a graduate who was working successfully in the field. Several departments expressed interest, and alumni from those majors who were employed in the respective fields were invited to attend. We expect this partnership to continue growing as more programming is created where alumni involvement would add value for the students. As the competition for donor dollars continues to increase, it is more important than ever to identify creative ways to engage constituents to begin relationships that can lead to transformational impact. At the University of Central Missouri, creating alumni engagement channels to increase opportunities for our alumni to interact with their alma mater was a logical step. Bringing in prospect research to identify the best potential prospects for each channel focuses our efforts on the alumni who are most likely to create impact at UCM through time, talent and treasure. We look forward to continuing to fine-tune our research program and support all efforts of our advancement operation through proactive prospecting. Marissa Todd, JD, MBA, has been working in non-profit and higher education fundraising for over a decade. Although she has dabbled in prospect development since 2008, she really found her passion for the profession at her first Apra conference in 2014. Since then, Marissa has focused on developing and growing small shops, first at Stephens College and now at the University of Central Missouri, where she is the director of prospect management and research. 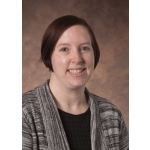 She is very involved with Apra, serving on the board of the Missouri-Kansas Chapter, the Apra Chapters Committee and the 2016 ARC Conference Committee. She has also presented at several conferences and loves to share her passion for prospect development with anyone who will listen. Marissa earned her BA and JD from the University of Missouri and her MBA from Stephens College. In her free time, Marissa likes to experiment with cooking and wine, devour books, and cheer on her favorite sports teams. She also likes to plan adventures with her husband, Michael, and snuggle up on the couch with their cats, Artie and Faurot. Want more on engagement? Check out Fully Engaged: Quantifying Engagement for Recognition and Strategy.